A recently published NASA study found that the Levant region – Israel, Palestine, Jordan, Lebanon and Syria – currently suffers from the worst drought in 900 years as a result of climate change. “Basically, we used a dataset of dry variability from the region that goes back, with reasonably good accuracy, to 1100 AD, and from that we were able to estimate that the recent drought in the Eastern part of the Mediterranean looks like it was the worst, or driest drought anytime in the last 900 years,” Benjamin Cook, one of the leading authors of the study and a climate scientist at NASA’s Goddard Institute for Space Studies, told Middle East Eye. The drought, which began in 1998, became particularly severe between 2007-2010, experts told MEE. The researchers, who had their paper published in the peer-reviewed Journal of Geophysical Research-Atmospheres, studied the growth of tree rings in the region to determine drought variability across the Mediterranean, which helps understand the region’s climate, according to a NASA publication on the paper. “This is a dataset based on tree rings, so basically trees in most regions – including the Mediterranean – put on a ring of growth every year. When it’s typically a wet year they grow very well and they put on a wide ring. When it’s a relatively dry year, they grow more poorly and put on a relatively narrow ring,” Cook said. “In this way, we can use tree rings to actually extend the observational record much further back in time, which can give us a much bigger, clearer picture of what the climate system does in this region,” he added. The scientific team looked at hundreds of trees at dozens of sites and used previous datasets from a collaborative international group of researchers that “really required everybody to kind of cooperate together and pool the data together that they individually had to create this kind of much larger big-picture dataset,” according to Cook. On the finding’s relation to climate change, Cook said previous studies used computer simulations and models that compared the level of greenhouse gases today to greenhouse emissions before human influence, and that this study shows the same trend. “This data study fits into that story because what it says is that this recent drought really falls outside the range of natural variability that we see for the last 900 years. It is this kind of independent line of evidence gesturing that shows climate change is really beginning to have an impact on this region. This is a region that we expect to get drier with climate change,” he said. Some analysts have told MEE that the impact of climate change and the severe drought could have contributed to political unrest in the Middle East and North Africa. Francesco Femia, who co-founded the think tank The Center for Climate and Security, told MEE that climate change, in conjunction with bad governance, led to a large displacement of people and helped instigate the Arab Spring and the Syrian revolution. 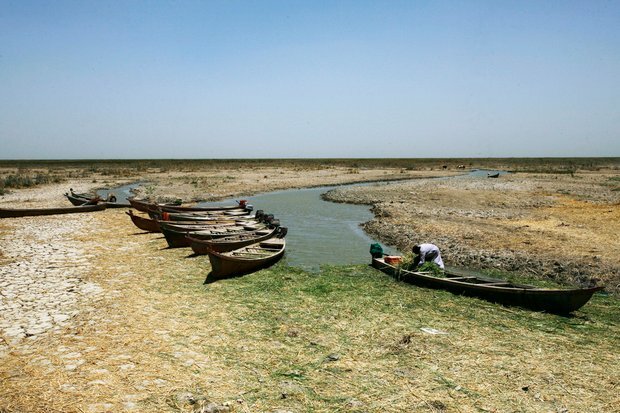 “What we found essentially is that climate change has placed significant strains on water security in the region and that’s related to some vulnerabilities that people in the region are facing. 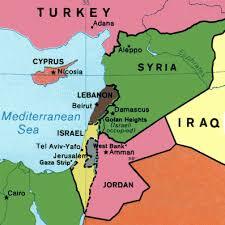 Roughly from about 2007-2010, Syria experienced one of the worst droughts in the history of modern records,” he said. “This drought during that time period was made two to three times more likely due to anthropogenic climate change. Then what happened is that drought coupled with natural resource mismanagement by the Assad regime – the heavy subsidisation of cotton and wheat farming, which is very water intensive, and most of the country’s agriculture is done through flood irrigation, where basically farmers flood their fields and waste a significant amount of water – so the drought coupled with this highly water intensive agricultural process and overgrazing of pastoral lands contributed to a very significant displacement of people before the revolution,” he added. Assad’s policies displaced hundreds of thousands of people, primarily farmers and herders, according to Femia. “Of the most vulnerable farmers in Syria, 75 percent experienced total crop failure and those individuals were forced to pick up and move. Eighty-five percent of the livestock was decimated so those herders had to find a livelihood elsewhere and many of those people during this time period, numbers range from 400,000-500,000 people, moved into urban areas – Homs, Palmyra, Damascus, etc,” he said. “These things all came together. Climate change played a role as what security analysts call a ‘threat multiplier’. And so essentially, climate change multiplied existing water insecurities as a result of bad governance. Better governance of natural resources would have helped mitigate that, because if you look next door, Jordan didn’t collapse. But there’s growing evidence that the drought is part of anthropogenic climate change that’s happening in the region,” he added. The Middle East and North Africa, Femia claims, has experienced some of the most dramatic precipitation changes as a result of climate change, which translates to less water available. “More and more evidence shows that the region is going to get drier. Put that on top of existing economic and political volatility then it’s kind of a dire future,” Femia said. Justin Wilkinson, a scientist at NASA, concurred with that assessment. “We tend to live in deserts with a lot of high tech, but the people in the Middle East have got low tech to the point where they don’t have much electricity and pumping water tends to be by hand and life is generally more difficult. So the drought means a lot more to people on the ground,” he told MEE. “If you have less technology to help you, then the drought has a bigger impact on daily life,” he added. Even though Femia and others painted a bleak picture of the current water crisis, Femia also emphasised that the drought could provide a foundation for a political solution to the Syrian conflict. “There is a lot of historical evidence to suggest that water insecurities can bring cooperation between conflicting parties, whether that’s at the sub-national level or between countries. It doesn’t follow that water insecurity must exacerbate conflict; it can be the basis for political cooperation,” he said. “If conflicting parties within Syria find it necessary and find the political will to work together on sharing water resources and doing so equitably, then that can help spill over into other areas of cooperation that’s necessary to build peace in the region,” he added.